Top business app helps you manage your financial tasks easily from your iPhone or iPad. If you run any type of business and looking for the best business apps for your iPhone/iPad, this article can suggest you 6 useful business apps which come with lots of features. Here you can see useful business apps for your iDevice which would be very useful to manage business and financial tasks easily. Here we’ve listed some very useful and featured rich finance app, some of them are paid but very useful in completing lots of heavy tasks. With the help of these finance apps, you can manage your financial accounts, budgets , transactions, bills and more. Okay check out these apps on your iPhone or iPad. 1. 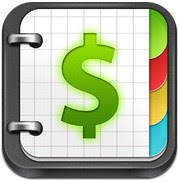 Moneywiz 2 Personal Finance ( iPhone & iPad ) – Moneywiz 2 Personal Finance is one of the best business apps for iPhone users that help users to manage all their accounts, budgets, transactions and bills in a single place. Great app that shows you detailed reports with beautiful interactive charts in full screen mode that can be exported in PDF or CSV formats. Very useful app for your business that allows you to put all of your accounts in a single place to organize your business tasks. One of the most useful iPhone finance apps and it is integrated with lots of features such as detailed reporting feature, budget creation option with alert, bills management feature, accounts management tools including registering & adjusting balance, transaction list and checkbook registering feature. 2. 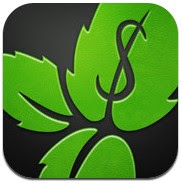 Mint.com Personal Finance ( iPhone & iPad ) – One of the best free business apps to manage your personal finance works. With this app, you can track , budget and manage all of your financial tasks in single place. Simple, powerful and easy finance app for iPhone/iPad.The app comes with many useful features which allow you to categorize your personal finances, see reports with beautiful graphs and view all of your accounts details including – investment, credit cards, checking, saving and retirement. Very useful app that comes with powerful password protection and automatic syncing features. 3. 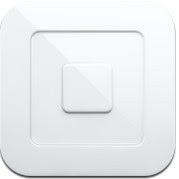 Square Register ( iPhone and iPad ) – Square Register is a free and useful business app for iPhone and iPad that lets you run business by accepting credit cards on your device. You can accept credit cards through your iPhone or iPad by following these three simple steps: – (i) Install this app , (ii) Join and request for free credit card reader, (iii) Add your bank account to accept payments. One of the best free business apps for iPhone/iPad that come with some useful payment options such as accepting cash, card & square wallet payments , sending payment receipts through email or text messages, real time data with sales analytics and manage your finance online with Square dashboard. 4. 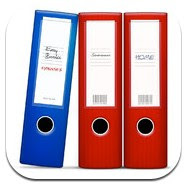 Easy Books ( iPhone & iPad ) – Beautifully designed professional business app that can be installed on your iDevice free of cost. Easy Books is a powerful bookkeeping , time tracking and invoicing app for iPhone and iPad. With this app, you can track all of your business accounts including bank accounts, sales, earning and purchase invoices. One of the best free banking apps on the app store and it helps you manage and track financial reports of audit, balance sheet, profit-loss, VAT return and monthly budget. 5. 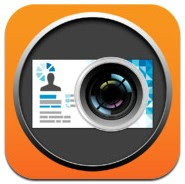 ScanBizCards Business Card Reader ( iPhone ) – One of the best business card readers for iPhone users and it helps users to scan cards quickly from their iDevice. Fully functional business card reader that is integrated with tons of useful features that can only be found in few card reading apps. ScanBizCards Business Card Reader comes with lots of features such as – double sided cards supporting feature, auto text orientation detecting feature, photo taking and image cropping option, define custom fields, contact creation option, powerful backup feature and many other features. One of the most useful business card readers on the app store. 6. Money For iPad ( iPad ) – One of the most popular business apps for iPad users and with the help of this app, you can track accounts, budgets of income and expenses and organize bills. Fully functional finance app for iPad users that comes with a nice user interface that can help users to manage all finance related works easily from their iPad. Great app to plan your budget with income and expenses, pay bills timely using reminders and alerts, track every type of finance related data and sync your data with all of your devices. Very useful business app for iPad users.